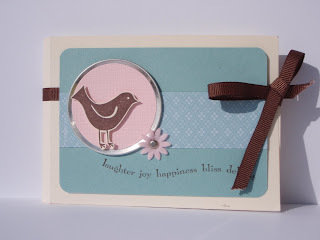 This was a project that I had made using the Best Wishes and More stamp set. 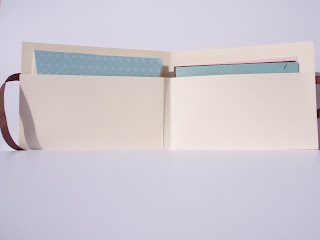 I base of the project uses vanilla cardstock that is folded and taped on each side, creating an envelope. I mini cards fit on one side and the envelopes on the other. 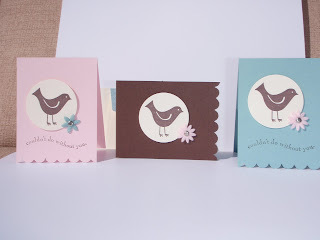 I did put a little pattern paper on the envelope flap to create a bit of interest. Colours used are pink pirouette, baja breeze, vanilla and Choc Chip ribbon.